The Magic Kingdom just got a little less smokey as the smoking area near Cinderella's Castle is removed. Good news for non-smokers. The smoking area near Cinderella's Castle has been removed as of today. I always thought it was in an odd location as it was a heavily trafficked area. The other smoking areas will remain, and the new changes will be reflected on park maps. 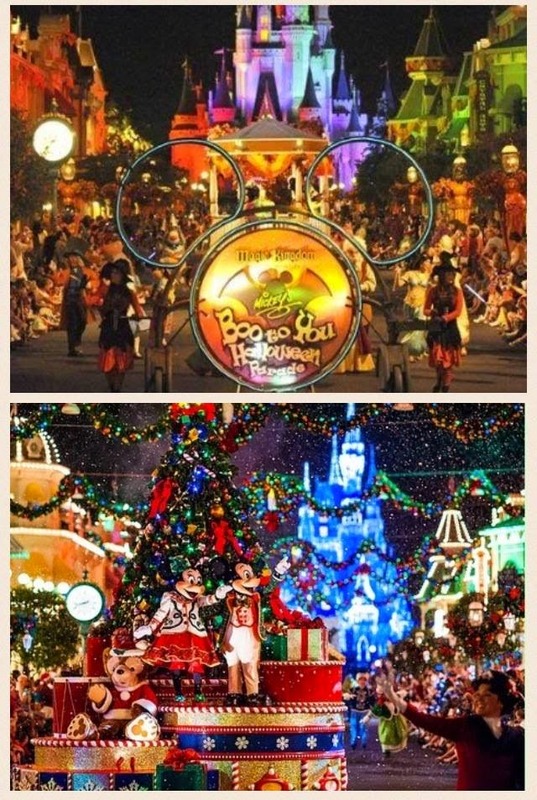 Dates for 2015 Mickey's Not So Scary Halloween Party and Mickey's Very Merry Christmas Party in Walt Disney World Announced. These events are ticketed events and can and do sell out. You can expect tickets to go on sale in April. 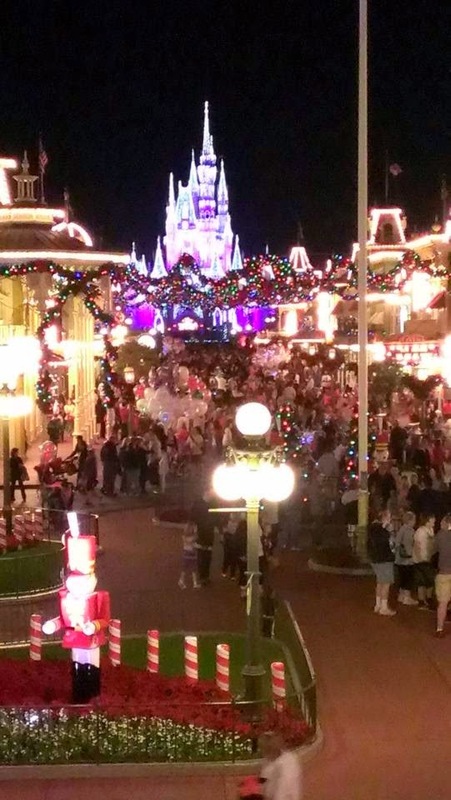 Both parties, that take place in The Magic Kingdom offer, special parades, character meet and greets, treats, shows, fireworks and activities surrounded by spectacular decorations. Prices are per person and do not include taxes. Ticket prices increase if purchased day of event. 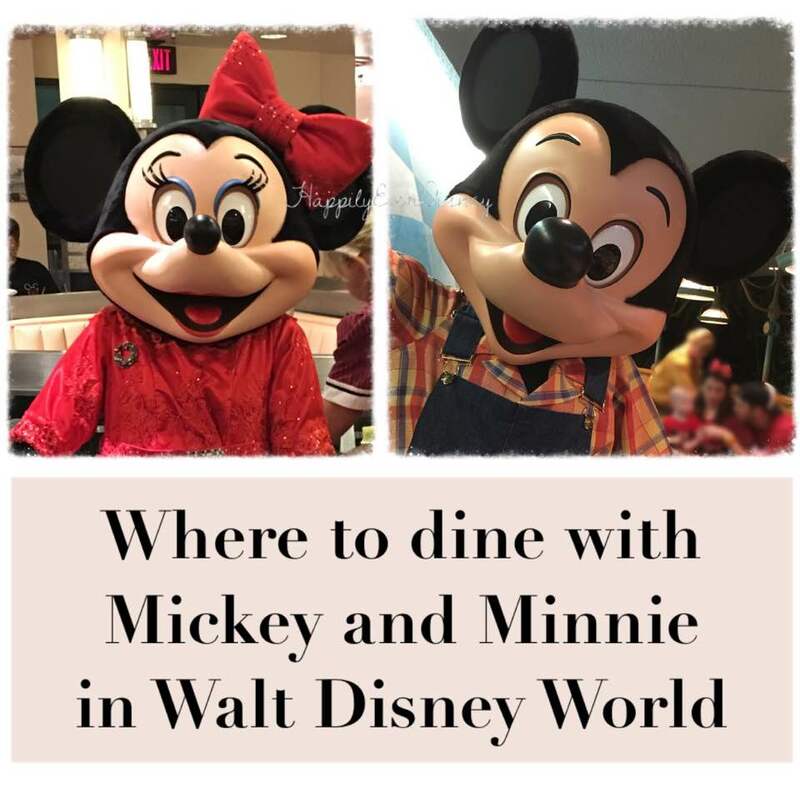 Where in Walt Disney World can you Dine with Mickey or Minnie Mouse? Here's a list of options. 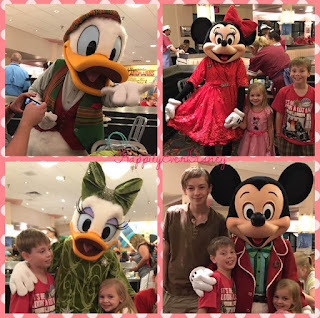 One of the best ways to meet Mickey and his friends is at a character meal. 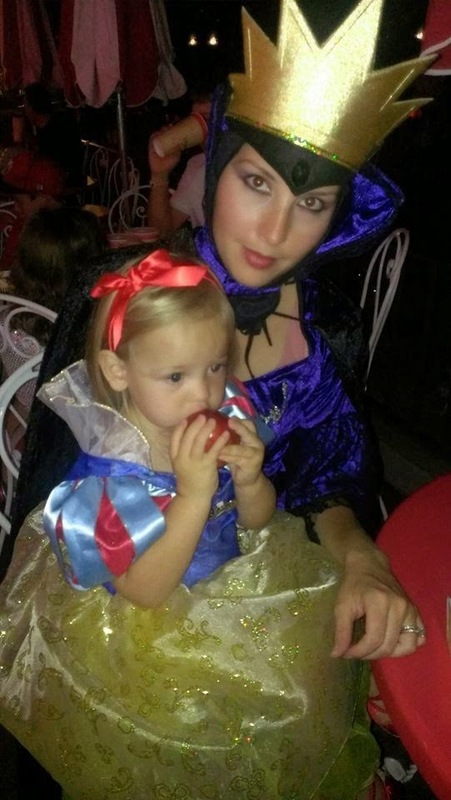 Character meals allow you to multitask by giving you the opportunity to spend time with characters while eating. If you have to take the time to eat, you might as well knock some characters off your "must-meet" list. The characters vary from restaurant to restaurant, so you'll want to confirm which characters are at each one. These characters take the time to go from table to table, usually one character at a time. This will allow you to take pictures, have autograph books signed and enjoy one on one interactions with the characters. 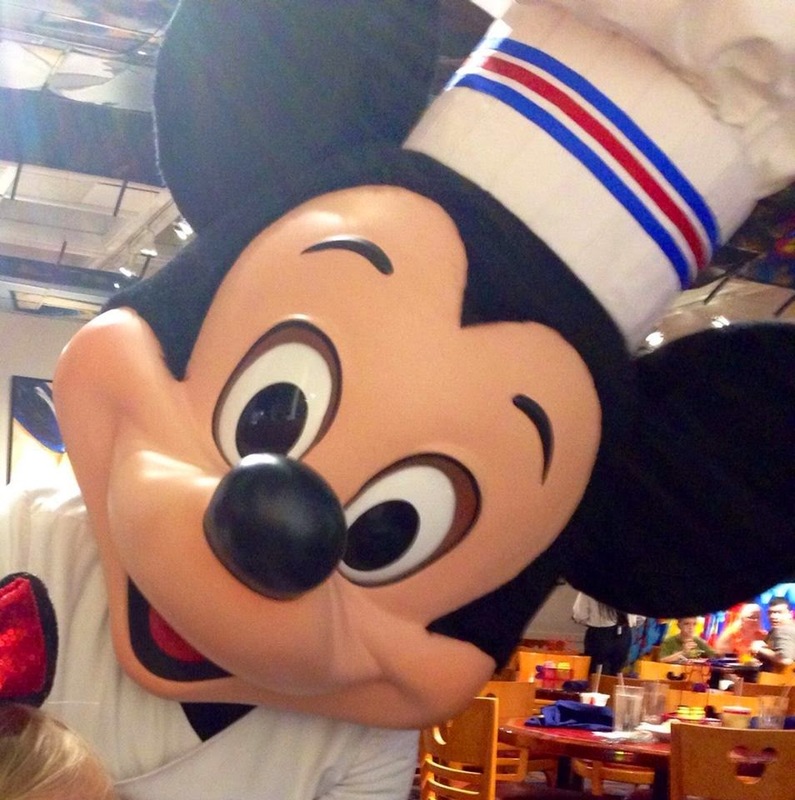 Below I will list all the restaurants that currently have character dining with Mickey Mouse. He will have other characters with him. I will list those characters, but keep in mind that sometimes not every one of them will be there. This can be due to a character needing to take a break. 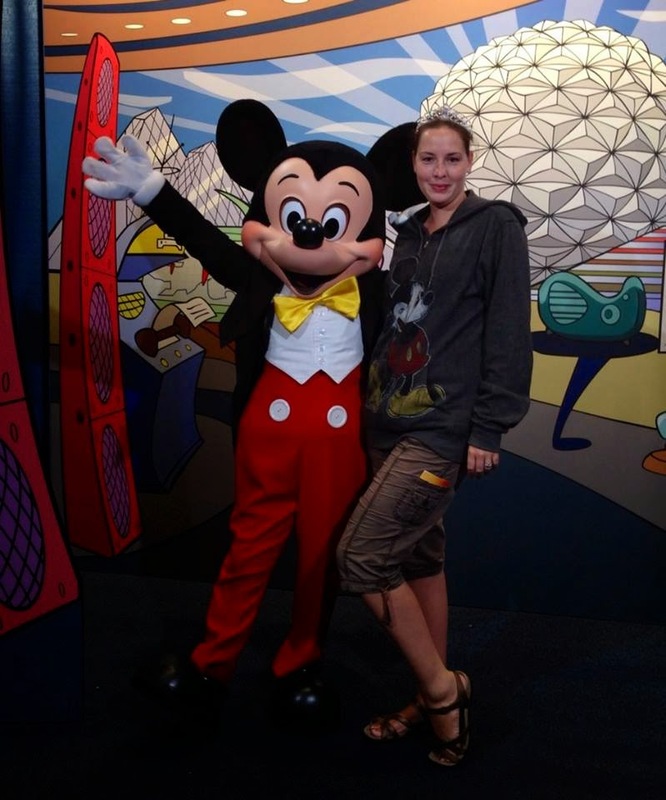 For example Minnie Mouse was not at Tusker House on our last visit. Please note that some restaurants might only offer the character experience at specific meals such as only at dinner or only at breakfast. To learn more about each restaurant, simply click on their name to be directed to The Disney Food Blog page. 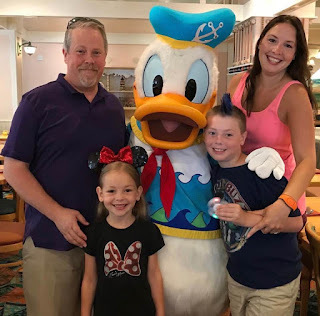 I am not affiliated with The Disney Food Blog, but it is my number one site I recommend for learning more about dining in Disney. 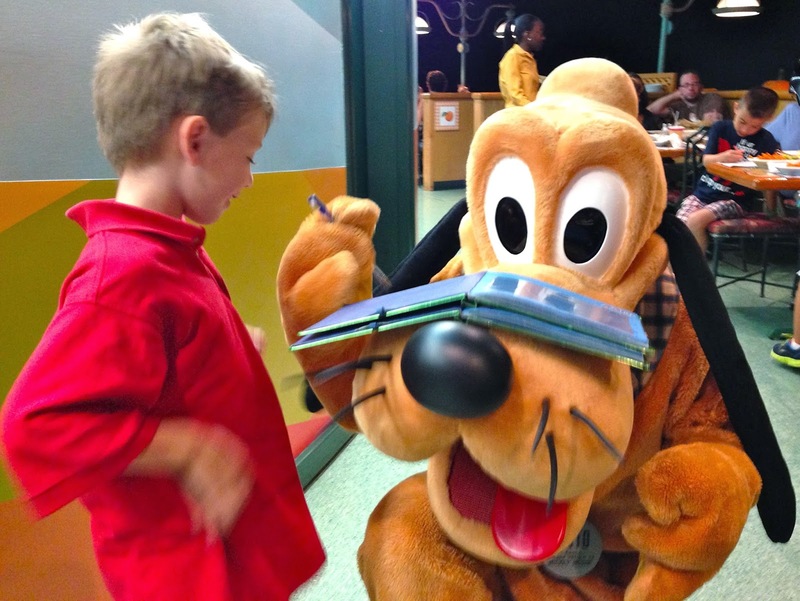 You can find reviews, pictures and menus for every dining establishment in Disney there. The Garden Grill is located in the Land Pavillon in the Future World area of Epcot. Here you can meet Mickey, Pluto, Chip and Dale. Mickey will be wearing his over-alls and looking like a farmer to tie in with the restaurant's farm-to-table theme. The food is served family style and is all-you-care-to-eat. The menu rotates, and many of the food comes from the green houses in the Land Pavilion. You can expect salad and rolls and an entree of turkey, chicken, fish or other meats with a few sides and a dessert. There are also kid friendly options so that everyone dining is happy. At breakfast expect sausage and gravy, bacon, scrambled eggs, Mickey waffles, various sides and Chip's Sticky Bun Bake! What makes this restaurant special is that it turns a full 360º as you dine! You won't feel the movement. It's very slow, but as you eat you will see the scenery change. The restaurant is positioned over the land boat ride, so you will see many scenes from the ride as you dine. A little tip: Book a Behind the Seeds Tour earlier in the day to learn all about the plants and fish that are grown in Epcot's Land Pavilion that you will be eating for dinner. 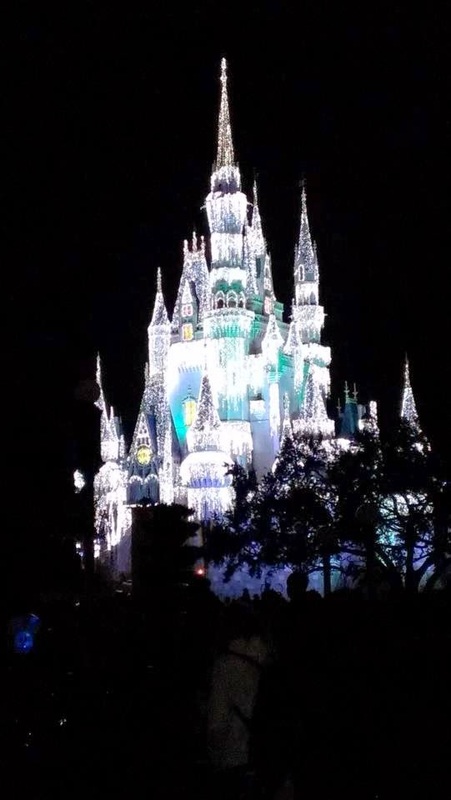 Dine early so you can have time to enjoy Illuminations in the evening. Tusker House in Animal Kingdom is one of our family's favorite restaurants. 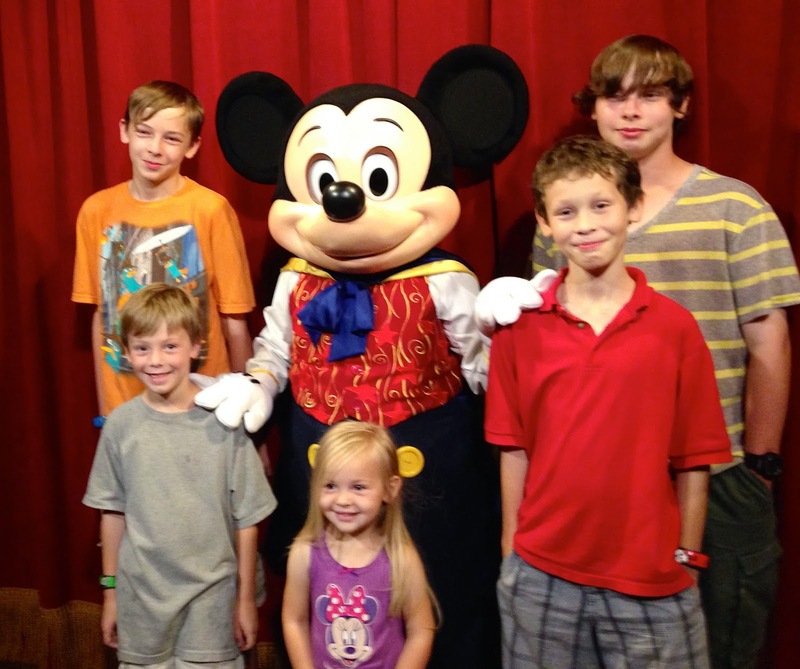 Here you can meet Mickey, Minnie, Donald, Daisy and Goofy. You will find American and African foods on an expansive buffet. There is plenty of variety to appease even the pickiest of eaters. 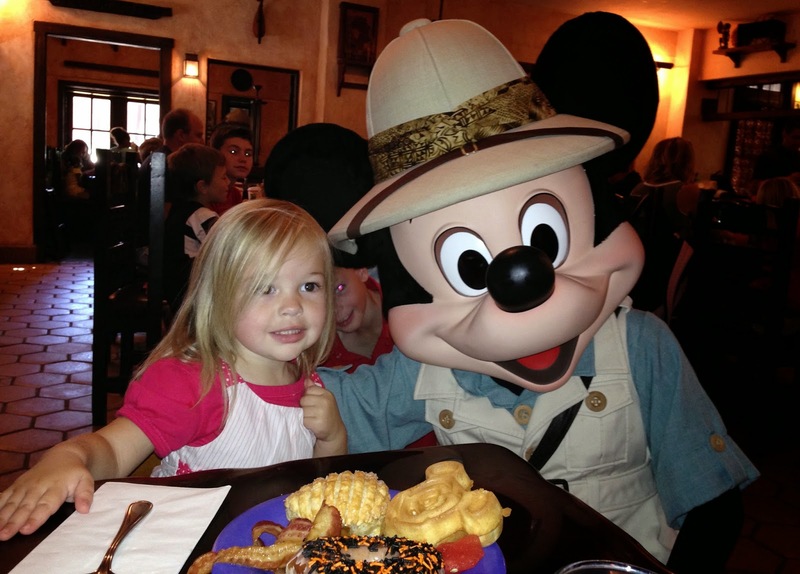 The characters greet you in full safari outfits and children are invited to parade around the restaurant. Just wait for the announcement and cast members handing out musical instruments. Tusker House is a fan favorite for both characters and food, so be sure to grab a reservation early. A little tip: ask for a later breakfast reservation. This will allow you to start out eating breakfast foods, but the buffet will slowly transition over to lunch foods as you dine. This way everyone in your party can get what they like....including Mickey waffles! Mickey wearing his best safari suit. Hollywood Studios is currently a slower park thanks to the current construction on Star Wars Land and Toy Story Land. Taking the time to sit down to a nice slow paced meal is perfect for your Hollywood Studios day. 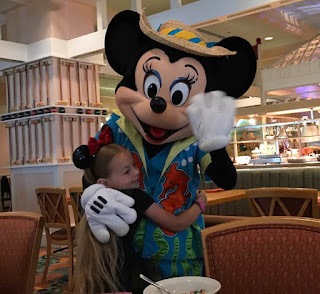 Minnie's Seasonal Dine is a buffet that offers both food and costumes that change with the seasons. In the Summer you can find Minnie and her friends dressed for the beach and food consists of Summer picnic faves. In the Fall everyone is dressed in Halloween costumes and food has some Fall harvest favorites. In the Winter everyone is dolled up in their Christmas best and look like they could have jumped out of a Christmas card while the food is traditional Holiday favorites such as Turkey, Ham, stuffing and of course pumpkin pie! 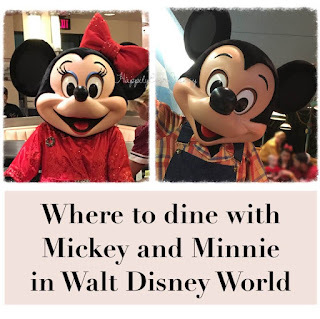 In the Spring Minnie and her friends are dressed to the nines as they glam it up for a red carpet premiere while foods get a more Spring feel and include some liter fares. Hands down this is our favorite Mickey and Minnie character meal. The food is consistently good and the characters spend a good amount of time at each table and even return multiple times if you are there long enough. A little tip: book a Fantasmic dining package and enjoy a reserved area just for those with tickets. You must book your dining reservation through the special Fantasmic Dining package link. CLICK HERE for link. Everyone ready for a fun Summer beach day. Cape May Cafe offers a buffet character breakfast. 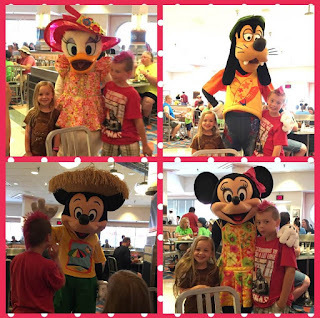 You can expect to meet Minnie, Donald, Goofy all dressed for the beach. The buffet offers an excellent variety full of cereals, pastries, fruits, eggs, oatmeal, meats, and Mickey waffles. There are plenty of other items guaranteed to keep you full for quite some time! The Beach Club is the perfect beginning of your day. Chef Mickey's is by far the most popular dining option with characters. Reservations can be hard to get if not made early. I suggest you call 180 days before your desired day to dine to make your reservation or as soon as you can. With that being said I have to be 100% honest and say the food on the dinner buffet is subpar. While many people don't mind the lack of better food because they are getting to dine at an iconic restaurant, I say there are way too many options to settle for less. Luckily Disney listens when it hears not-so-good reviews, so perhaps dinner will be better in the future should you decide to dine there. At Chef Mickey's you can find Mickey, Minnie, Goofy, Donald and Pluto. What sets it apart from other meals with Mickey is he's literally in a chef's coat and the other characters wear aprons or chef hats. My kids enjoyed their experience there, so all was not lost. Since most Disney breakfast buffets offer the same items, I would imagine breakfast is a better option. 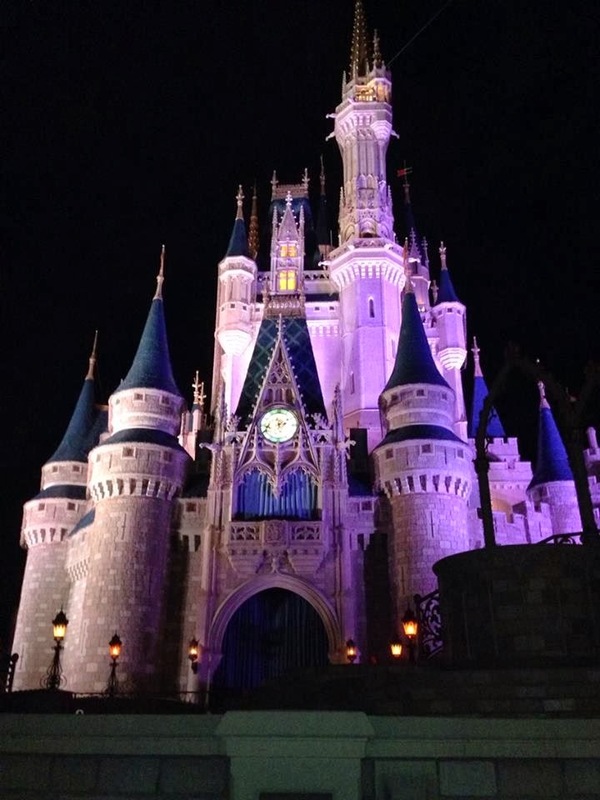 A little tip: Magic Kingdom is a short walk away. (You can also ride the monorail from inside the Contemporary to Magic Kingdom and EPCOT.) 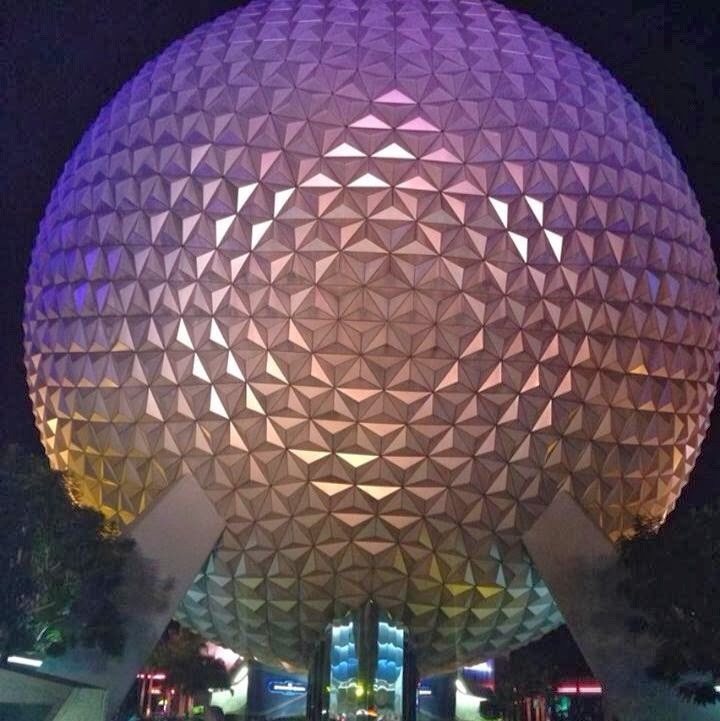 Have an early breakfast before heading into the park, or have an early dinner and watch the Wishes firework display from the balcony of the Contemporary or just head into Magic Kingdom and view them in the park. 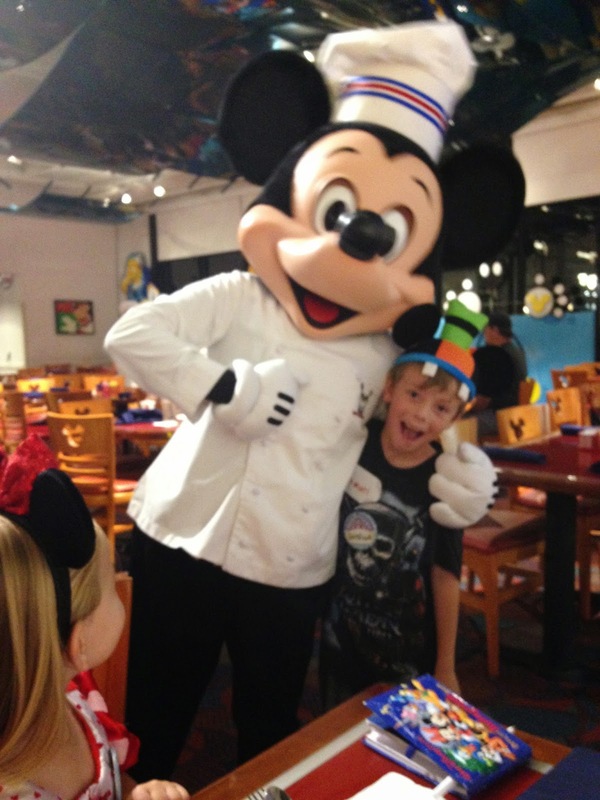 Chef Mickey is excited to meet his guests. 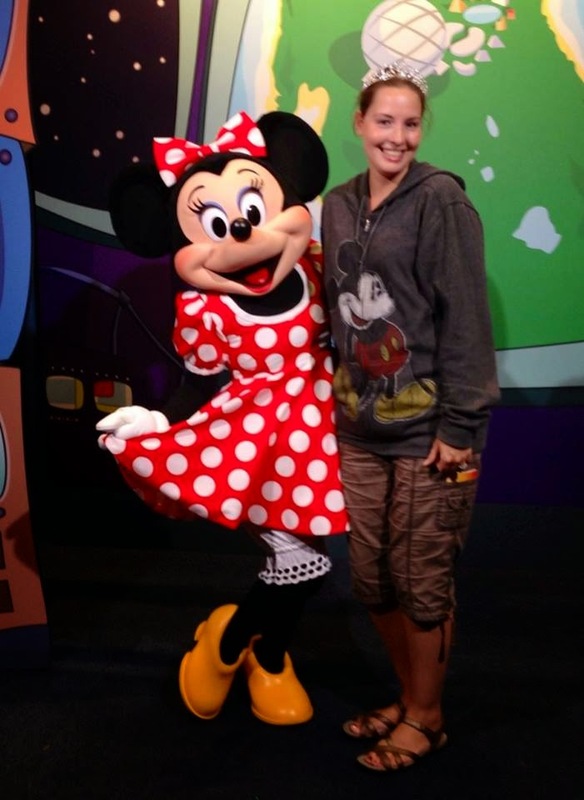 Little Minnie fans will be happy too. 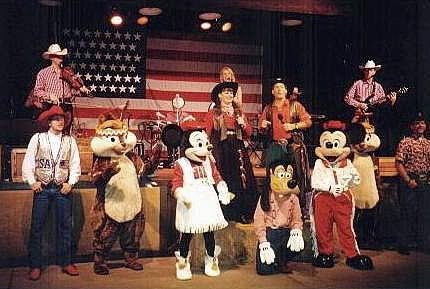 Mickey's Backyard BBQ is more than just a buffet dinner, it is also a dinner show. Disney describes it as a "music filled hoe-down". You will find Mickey, Minnie, Goofy, Chip and Dale. The buffet consists of classic cowboy favorites such as ribs, hamburgers, hot dogs, smoked chicken, corn on the cob, mac-n-cheese, watermelon and much more. This is the only Mickey character meal that we have not experienced as a family. I did get to enjoy it a few times as a kid and remember it being really fun. We are hoping to go next trip and give a more thorough review, but I can say that everyone I know that have gone has said it was worth the 2 dining credits. A couple things to note: The restaurant is only open March - December. It normally only operates on Thursdays and Saturdays, however during busier times it may be open more days of the week. Simply call and ask or look on the Disney dining reservation website to see available days during your visit. A little tip: Plan to take time to explore Fort Wilderness before or after your meal. There are many unique activities in Fort Wilderness including a movie and camp fire with Chip and Dale in the evening complete with smores! If you travel during the holidays, be sure to ride around (by resort bus or horse drawn carriage) and check out all the Christmas light displays. All the campsites and cabins will be completely taken over and it really is a site to see. Just a little pickin and a grinnin at the hoe-down. Enjoy an all-you-care-to-eat island inspired breakfast served family style. The meal features classic options such as scrambled eggs, sausage, bacon, fruits, breads, island style potatoes and of course Mickey Waffles. Your pal Mickey joins Lilo and Stitch and sometime other pals such as Pluto dressed in vibrant Hawaiian attire. Because the Polynessian is located on the Monorail loop, it makes for a perfect start to a day at Magic Kingdom or Epcot. The Polynesian Resort makes you feel like you've stepped into an island paradise. Don't worry if you are unable to dine with Mickey or Minnie, there are plenty of other opportunities to meet them throughout the parks. Refer to the parks' time guides for the day to see when and where (and if) they are meeting guests. And keep in mind there may be long lines. There are a couple fast pass+ options for meeting Mickey and/or Minnie including Mickey at Town Square in Magic Kingdom, The Character Spot in Epcot (which has Mickey, Minnie and Goofy), and in Hollywood Studios (which has Mickey and Minnie). 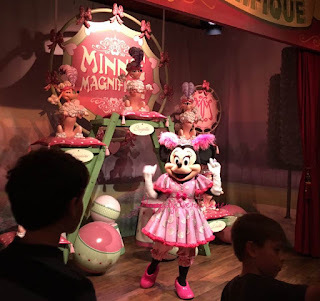 You can also meet Minnie in Magic Kingdom in special circus attire in New Fantasyland next to the train station. Sorcerer Mickey meets guests in the old Back Lot Tour area of Hollywood Studios. Please note that this character meet and greet is no longer offered. 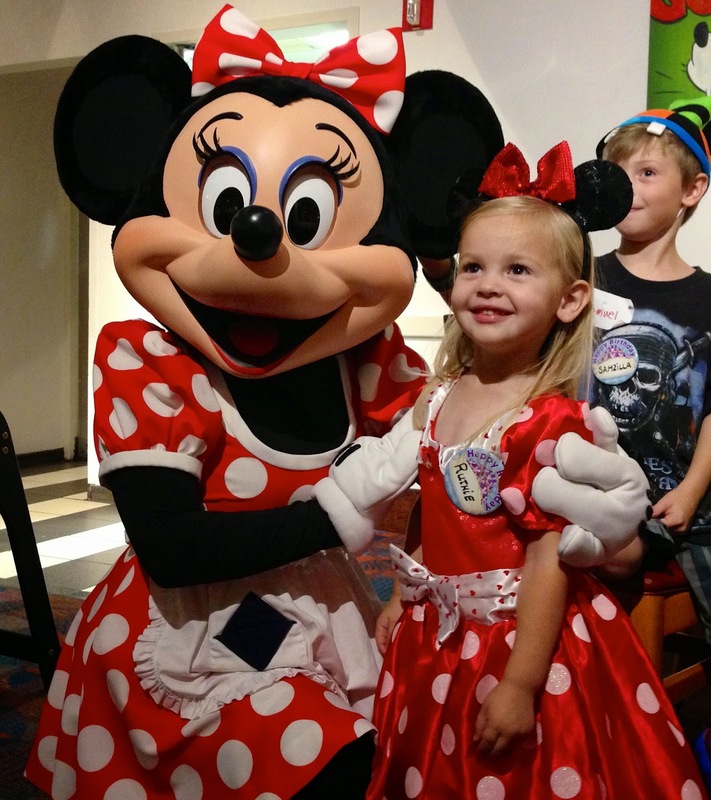 Guest can meet Mickey and Minnie in their Hollywood best across from the ABC Commissary. Mickey and Minnie meet guests at The Character Spot in the future world area of Epcot. Minnie the Magnificent in New Fantasyland in Magic Kingdom. Talking Mickey at Town Square, Magic Kingdom Yes he ACTUALLY talks to you! It is hit or miss on whether you get talking Mickey or a non-talking Mickey, so keep that in mind. 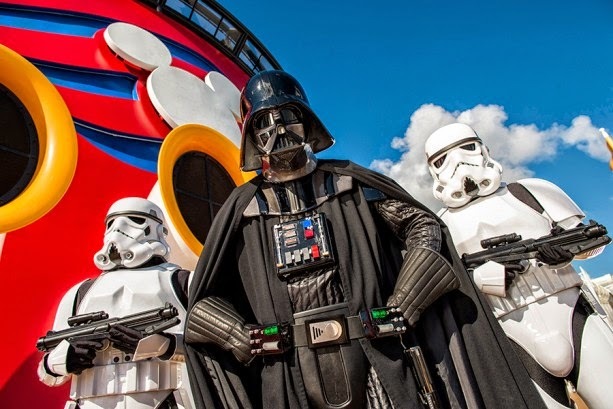 New Star Wars at Sea Day aboard the Disney Fantasy cruise ship to begin in 2016. Star Wars fans rejoice. Disney has really embraced the force and is out to give their fans more experiences. Not only are there rumors of a Star Wars Land coming to Hollywood Studios, there are also plenty to enjoy during the ever popular and expanding Star War Weekends at Walt Disney World. They are even hosting a Star Wars half-marathon at Disneyland in January, 2016. Beginning in 2016, you will be able to choose from 8 select sailings aboard the Disney Fantasy to participate in a Star Wars at Sea Day. Here is what the Disney Cruise Line website says about these voyages. The only at-sea screenings of Episode VII, at this event will thrill Padawans (Jedi in training) and Jedi Masters in every family. It is ... your destiny. So wether you embrace the force or choose the dark side, looks like Disney is giving everyone more opportunities to show their Star Wars side with their Disney side. To learn about this cruise or any other cruises offered by Disney, please visit the Disney Cruise Line website by CLICKING HERE. Getting groceries and baby items for your trip to Walt Disney World. Tips, tricks and preferred providers. Here is what we do on our trips. This is a lot easier if you are driving, but even if you are flying you can take advantage of this tip! If flying please note restrictions on liquids per TSA guidelines found HERE. If you are driving, stock up on goodies for the car and hotel. We have 5 kids that are always eating. It's great to be able to let them snack most of the trip and only stop for main meals when we stop for gas. It also helps when we get back to the hotel each night and they want a snack before bed, and in the morning when they are "starving!!!!". I personally pack my items in a cardboard box that I position in an easily accessible place in the car that the kids can easily reach. Then when we arrive I can just grab the box and take it into our room. I also take a small cooler. Rather than fill it with ice that can melt and leak, I freeze a handful of water bottles. This keeps it nice and cold, but there's no mess. I can also pop the bottles in our resort's freezer and reuse them on the trip home. You have a couple options to get these last minute perishable items. You can stop just before you enter the park (there is a Walmart very close to Disney), but I choose to get them at my resort's store to save time. If you are staying at or traveling close to Fort Wilderness, there are two trading posts that sell grocery items. Other resorts usually have these items in their quick service eating area. Simply ask a cast member where the closest place to get the items are. You also have the option of using The Garden Grocer. This is a service offered to Disney guests and other local resorts. You can order items and have them delivered to your room. They sell groceries (fresh and pantry items), baby care items such as diapers, and first aid items such as Tylenol. There is a small delivery fee and minimum purchase amount, so check it out before you decide to order. 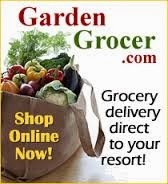 We used Garden Grocer last trip and absolutely fell in love with them. I am incredibly frugal and was really impressed with their prices, esp. 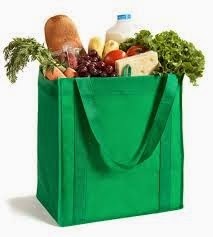 for bulk items such as granola bars, bananas, Powerade and water bottles. If you fly, you can take advantage of The Garden Grocer too. You can look into it before your trip, but Disney will have sheets in your resort with info. If not, simply contact the front desk and they will provide it. Another option is to have items shipped directly to your resort. Of course you will only be able to ship non-perisbale items, but this can not only save you on food, but it can also save parents of little ones from having to pack diapers, wipes, formula, etc. (I have even heard of parents buying and shipping a cheap stroller and then donating it before they left.) My favorite go-to site is amazon. Many don't realize that you can get grocery and baby items from amazon. They pretty much have EVERYTHING! To ship to your resort, call the resort your are staying at and tell them you would like to have items shipped. You can call 407-939-5277 and ask for your resort's front desk number. Your resort will give you the correct address to have items shipped to. Make sure your name is on the package. (If you ship from amazon it will have the amazon account holder's name on the shipping label.) Please note that you must ship no sooner than 2 weeks before your trip. I personally would choose amazon's 2 day shipping and do it 4-3 days before arrival. I would also call the resort after you order to notify them that you have a package being delivered. When you check in, let the front desk know that you had a package delivered. CLICK HERE to view amazon Mom for baby items (+ discount) CLICK HERE for a FREE trial of amazon prime for FREE 2 day shipping, discounts and more. Most resorts come with a mini fridge, but not all. Make sure you ask for a fridge in your room. This will save you money and more importantly time during your stay. If you need a full sized kitchen, some resorts do offer them. The Cabins at Fort Wilderness is our favorite that offers a full sized kitchen, but many suites also offer them, so be sure to ask a cast member when you call about your options. It's great to be able to get up and have a small breakfast before heading to the park. It also helps little ones that might not be able to wait all the time it can take to get into the parks. Trust me, those bus and boat rides to the Magic Kingdom are soooooo much nicer when kids aren't whining "I'm hungry" over and over. Having a fridge in the room is also a nice way to keep some cold beverages on hand. If you have access to a freezer, freeze a couple of water bottles over night and put them in your cooler to keep drinks cold. By the end of the day those frozen water bottles will be melted enough to drink. Here is our fully stocked kitchen in our cabin at Fort Wilderness. You can also have your water bottles filled up in the park throughout the day. Any quick service dining establishment will gladly fill your water bottles with water for FREE if you ask. (You can also just ask for a cup of water.) Just keep in mind that the water is not the best water. It will taste like tap water. If you have super picky eaters in your group, they may not like the water. I like to use a large backpack when I visit the parks. I personally use a Vera Bradley campus backpack. It's comfortable, holds everything I need and I can still take it on rides if I have to. This allows me to keep snacks on hand all day. I can also stash a cooler in it to make carrying around drinks easier. I have found that an average little cooler that can hold 6 drink bottles is about what we need for the day. Of course your family will vary, but this is a good starting point. Keeping drinks and snacks on hand is crucial for surviving long lines and waiting for parades with little ones. As much as I love Disney food, when you have a cranky, hungry little one it's nice to just whip out a favorite snack and something to drink without having to walk and find someplace and wait in line to get something. Hopefully these tips will help you plan your trip with a little more ease and relieve a little stress in the parks.